The event included companies such as Paspaley, Robert Wan, Jewelmer, Tiffany & Co. and Mikimoto. The Forum highlighted the potential of pearls as pioneers of sustainability in the jewelry industry and demonstrated that there is a clear business case for sustainable cultured pearls. All the videos and presentations of the event are available online. CIBJO President Dr. Gaetano Cavalieri spoke about why sustainability is important in the jewelry industry, and why cultured pearls are in a unique position to be sustainability pioneers. The Forum featured three themes: Protection of the Biosphere, Management Commitment to Sustainability, and Promoting Sustainability throughout the Supply Chain. James Paspaley showcased how the Paspaley pearling company operates with little impact in remote marine areas by having only sea-based operations in Australia. Paspaley argued that "from my perspective the simplest and first step in sustainability is the preservation of the wild stock and the environment itself" and that "the overall conclusion is that the pearling industry is environmentally benign. In fact, it could be argued that the industry has an environmentally beneficial effect as, if not for the existence of the pearling industry, there would be fewer influential advocates for environmental preservation of this remote region." Jacques-Christophe Branellec of Jewelmer, Philippines, emphasized the need to engage with surrounding communities in order to conserve the pristine marine waters in which the company's golden pearls are produced. 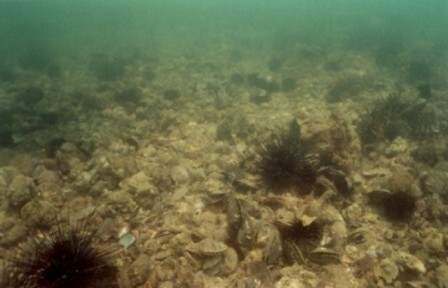 Branellec highlighted that "by protecting the natural habitat of oysters, pearl farms also become the breeding grounds of a diverse group of marine life." Robert Wan from French Polynesia, a Tahitian pearl industry legend, looked back on 40 years of producing cultured pearls in remote Pacific coral atolls and the need to protect these. Douglas McLaurin and Josh Humbert, both smaller producers, have been pioneers of sustainable pearl farming since their beginnings by focusing on restoration of native oyster reefs and developing ecological oyster cleaning techniques. Responsible pearl farming is unique because it is about not just preserving vital ecosystems, but also producing high-quality pearls. This economic and environmental synergy enables producers to market their pearls in unique and valuable ways. Results of a US jewelry consumer market survey carried out by Sustainable Pearls and MVI Research were presented by Julie Nash and clearly showed that there was a business case for sustainable pearls. The Forum also included a side event in which pearl producers discussed Sustainability Principles for pearls, and these will be launched soon. The Hong Kong Sustainable Pearls Forum was unique in bringing together so many industry leaders to discuss sustainability.